Wednesday, March 21, 2012 :: My First Balayage! About 2-3 weeks back, I submitted my last school project of my university years and decided to do a little something for John by whipping up a home cooked meal for him while he slog his guts out at the salon haha. 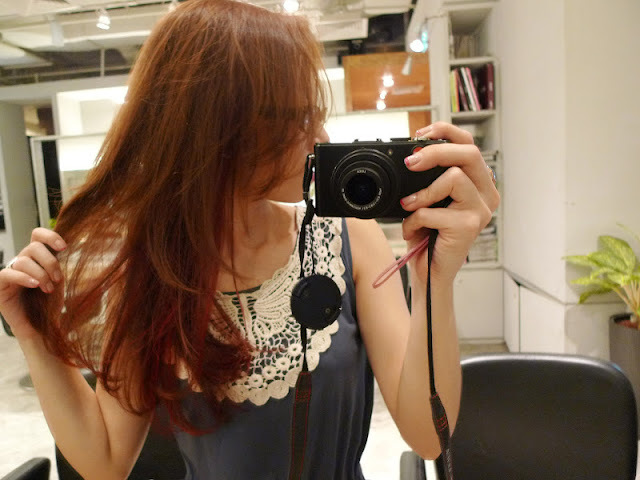 Turns out I really love the color and it is a twist from the usual reds highlights I see on the streets. This Balayage is done on the downside of my hair so it is not jarring with a splash of red in the hair. It is done in a subtle but alluring manner that peeks out from the bottom when I swish my hair around (laughs). 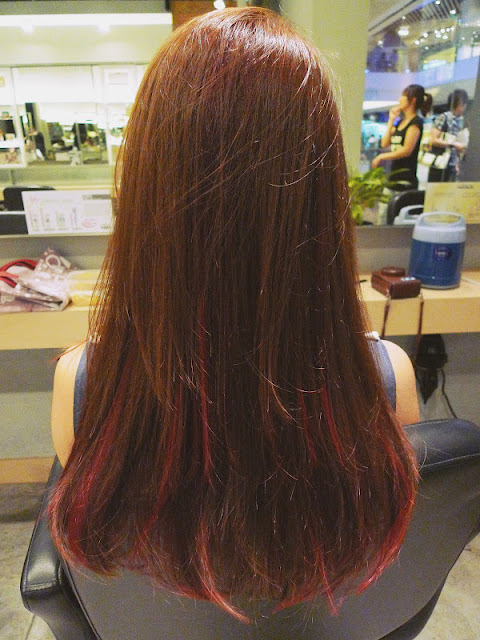 Not a bigggggg fan of red on my hair so John decided to try this Balayage way of incorporating reds in my hair. Tired face after a day of cooking. You must know I slept through the following day because cooking is such a tiring chore..defending those oil spurts etc hahaha. Not sure if you can see the reds underneath. But the gradient is awesome! Thank you dearest John! You know my hair best! I'm heading back to touch up on the reds so it can last better after the 2nd layer is up. 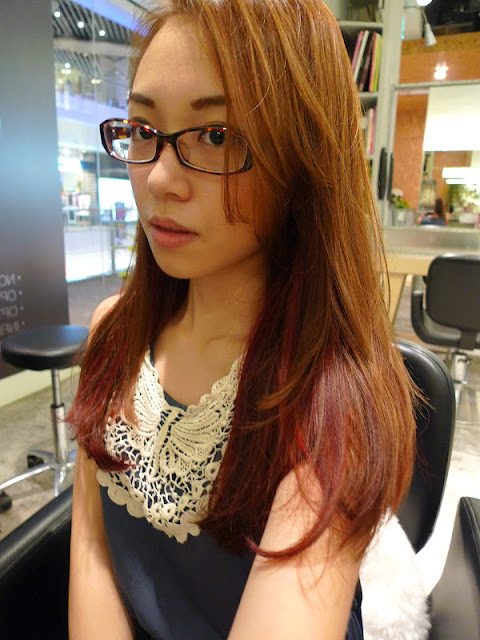 Have a friend who used to do her hair with John when she was still in Singapore and she always ask for her hair in red. It is extremely red but it compliments her skin tone and make her stand out in a really classy way. 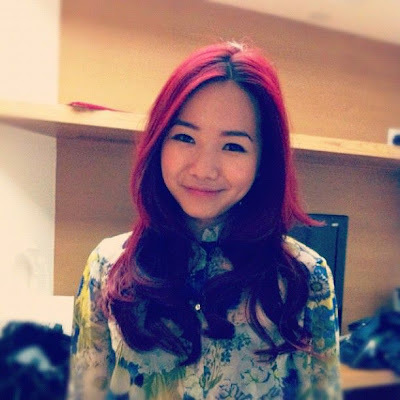 What's better is the red on her hair can reallllllyyyy last!